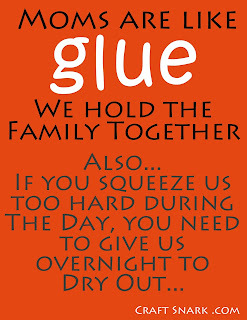 Moms are like glue. We hold the family together. 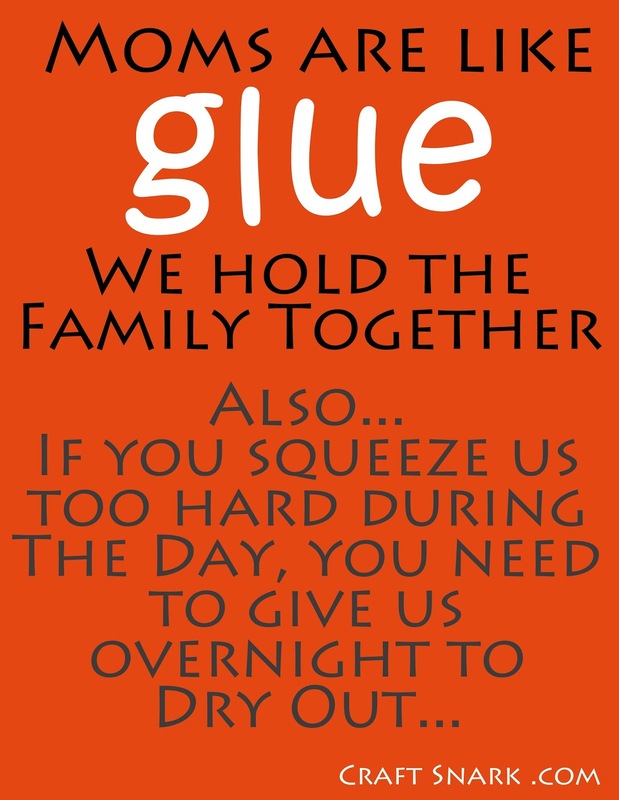 Also, if you squeeze us too hard during the day, you need to give us overnight to dry out. Because we are going to be drinking. Probably wine, but hard liquor if needed. Children have a habit of squeezing too hard. Both on bottles of glue and on moms. They want what they want - and it usually includes impatience, more sugar, and later bedtimes. The last of which encroaches on our crafting time. Which, eventually, converts into drinking time. Out of necessity, really. It is medicinal. Doctor prescribed. Or would be, if we had the time to visit the doc. But... give us overnight to dry out, and we're ready to do it all again tomorrow - from sticky syrup to ketchup covered dinner... each day is a new one that we'll attack with fervor - and reminders to say "excuse me" and "thank you."